Can You Make Sense Of Our INSANE International WWE Quiz? Booking Shawn Michaels in SAUDI ARABIA isn’t the craziest WWE international incident. The men and women—and then just the men—are set to embark on a world tour over the next month and a half. Australia's Super Show-Down on October 6, 2018 sees Triple H Vs. The Undertaker take top billing. 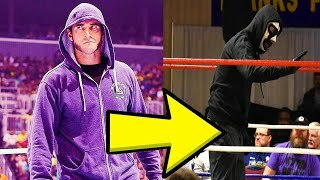 This leads us to WWE Crown Jewel in Saudi Arabia, on November 2, 2018, on which that match will, if smoke exists where there is fire, lead to an improbable in-ring meeting between DX and the Brothers of Destruction. Given that the Shawn Michaels and Undertaker meeting is the real main event here, after eight years of retirement, Shawn Michaels - the Showstopper, the Heartbreak Kid, the Icon - will first lock horns with Kane. On a happier note, WWE returns to Manchester, England for a RAW taping later that month. We were treated to an unexpected and much-needed WWE Championship switch in the same city last year, so we might see something worth sinking our teeth into, rather than a bit of the old British tooth-bashing. Elias will get that bit over, even if Roman Reigns doesn’t drop the Universal Title to Chad Gable. Unfortunately for us, if the Greatest Royal Rumble show is any indication, WWE will treat the Australia and Saudi shows as something that only just surpasses the web-wide “glorified house show” accusations. We’re in, one would expect, for a reprisal of the old Attitude Era UK-Exclusive pay-per-view attractions on which the wrestlers performed at—generously—the TV level. 1. 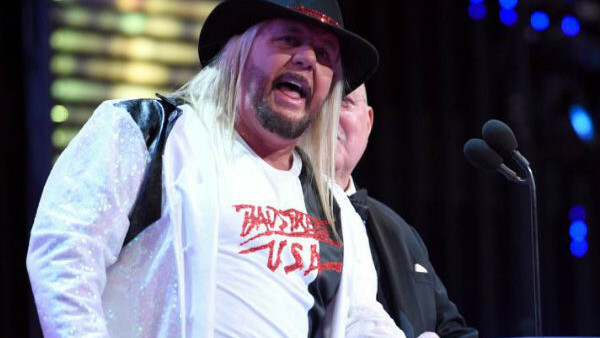 What Allegedly Happened To Michael Hayes On The Notorious Plane Ride From Hell Of 2002?